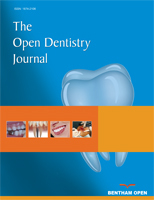 The aim of this study was to compare the effects of certain commercially available mouthwashes on cariogenic bacteria and biofilms, following the acquisition of inhibition potentials of caries. Mouthwashes containing I) chlorhexidine gluconate (CHG; 0.0005% w/v), II) benzethonium chloride (BTC; 0.01% w/v), III) an essential oil (Listerine), and IV) povidone-iodine (PVP-I; 0.035% w/v) were tested on planktonic cariogenic bacteria, biofilms, and an ex vivo caries model. Bacterial aliquots were inoculated with each solution separately and vortexed for 10 seconds at room temperature. Bacterial viability was subsequently investigated by fluorescence microscopy (FM) after staining with a BacLight viability kit and the number of colony-forming units (CFUs) was counted. Similarly, mouthwash solutions were applied to artificial cariogenic biofilms, and bacterial viability of the biofilms was investigated as stated above. Inhibition potentials of two selected mouthwashes of carious lesions were investigated using biofilm-induced caries and a secondary caries model. In all steps, a phosphate-buffered saline (PBS) solution was included as a control. Planktonic cariogenic bacteria and bacteria embedded in biofilms were killed in remarkably large numbers with Listerine and PVP-I treatment compared to PBS and other gargles. CFU counts also showed significant reduction after treatment with Listerine and PVP-I compared to other solutions (P<0.05). Listerine also displayed significant (P<0.05) inhibition effects in preventing the progression of demineralization. Bactericidal potencies of the mouthwashes varied significantly, suggesting that mouthwashes like Listerine can be useful for the prevention of caries and secondary caries. Keywords: Cariogenic bacteria, cariogenic biofilms, inhibition of caries and secondary, mouthwashes, prevention of caries and secondary caries. © Oyanagi et al. ; Licensee Bentham Open.